ECDPM, ECDPM Great Insights magazine, Summer 2018 (volume 7, issue 3). Brexit is of course a negotiation, and while there are many stakeholders there are only two negotiating parties, the UK and the EU. To understand the political process in play, it is useful to see the official statements made by the parties on their negotiating positions and interests. Here we briefly summarise these, using phrasing taken directly from official documents related to international and development cooperation, trade, and external affairs. While the UK has broadly asserted the idea of an enhanced bespoke partnership with the EU on certain issues, the EU’s position has centred on treating the UK as a ‘third country’. Ways to bridge this gap will need to found, both overall and in specific policy domains. Concluding an effective, win-win deal in the Brexit negotiations is arguably the most significant task ahead. Of course this summary of official positions is not definitive, nor could it be entirely free from implicit biases. But it will give readers further context in which to consider the articles and analyses contained in this issue, with the proviso that new positions, policies, and papers will emerge during the process. The transition period ends when the current multiannual financial framework (MFF) ends, on 31 Dec. 2020 (art. 121). The UK will remain party to the European Development Fund (EDF) until closure of the 11th EDF. In the meantime, it may participate as observer, without voting rights, in the EDF Committee (art. 145 and further). The UK will honour its commitments in relation to the EU Emergency Trust Fund for Stability, the Facility for Refugees in Turkey, and ‘any future European Union Trust Fund’ created before the withdrawal agreement enters into force (art. 145 and further). The UK can negotiate, sign, and ratify new trade agreements during the transition period but may implement them only after 2020 (art. 124.4). 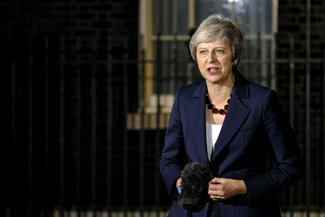 ‘[I]n accordance with the principle of sincere cooperation, the United Kingdom shall refrain, during the transition period, from any action or initiative which is likely to be prejudicial to the Union’s interests, in particular in the framework of any international organisation, agency, conference or forum of which the United Kingdom is a party in its own right’ (art. 124.3). On trade, the UK has presented no clear end-goal, though it has indicated it will not remain part of the single market (see Prime Minister’s Office, 2017). On foreign, security, and defence policy, the UK says it will favour a partnership with the EU on internal and external security (Prime Minister’s Office, 2018). In a May 2018 technical note dealing mainly with external security, the UK proposes development of a ‘future framework of UK-EU consultation and cooperation on external security’. Any such framework, it says, ‘would be flexible and scalable to enable the UK and EU to cooperate more closely when it is in their mutual interests’ (HM Government, 2018). 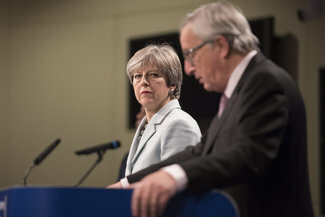 A policy paper of 12 September 2017 emphasises that the UK is ‘unconditionally committed to maintaining European security’ and that ‘the UK wants to develop a new security partnership with the EU that builds on the breadth and depth of our shared interests and values, and one that goes beyond any existing third country arrangements’. Such a partnership – including on external migration, cyber security, defence, and security – could be realised, for example, through mutual consultations and information exchange (Department for Exiting the EU, 2017). The ‘UK Non-Paper on Development’ of 24 May 2018 makes clear that the UK wishes to cooperate strategically with the EU, but will ‘critically assess the rationale… depending on the situation, and whether… the EU offers the best value for money’. It proposes collaboration particularly on (i) peace and security, (ii) humanitarian aid, and (iii) migration. This, it states, ‘could form the basis of a strategic partnership of development cooperation between the UK and the EU’. (vi) contributions to external programmes, if it gets a seat at the table (HM Government, 2018). A UK non-paper entitled ‘Future Development Instruments: A UK Perspective’, released 20 February 2018, outlines three proposals in varying levels of detail: (i) The UK suggests that the EU retain options for collaboration with third countries, particularly the UK, in light of the latter’s expertise and established role and reputation as a global development player. (ii) The UK suggests that it could contribute financially to specific programmes or projects, through ‘externally assigned revenues’. 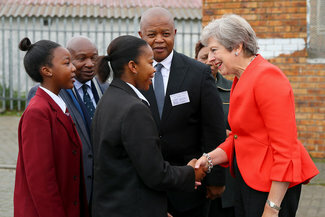 (iii) The UK insists on having a seat at the table, or a say in the matter, when it makes monetary contributions to specific programmes or projects. 4. 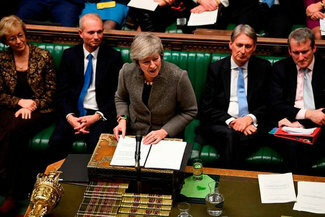 General positions, including the profiling of the UK as ‘Global Britain’ that can engage with a strong EU with which it continues to share values, were expressed in the Lancaster House Speech of 17 January 2017 (Prime Minister’s Office, 2017). On trade, the EU has consistently stated it would adapt its position to the ‘red lines’ set out by the UK. These were aptly depicted in a figure presented by the European Commission’s Chief Negotiator Michel Barnier in December 2017 (see page 27 in this issue). 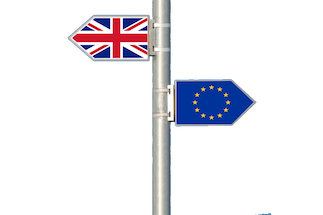 On the various options – regarding the common market, customs union, free trade agreements and WTO rules – see Bilal and Woolfrey in this issue. On foreign, security, and defence policy, as the UK will become a third state, the EU has suggested establishing a security of information agreement (see illustration on p. 27 of this issue – The EU has referenced the EU-NATO partnership and explicitly a ‘specific dialogue and consultation mechanism’ reflecting its interest in cooperating with the UK as a ‘significant foreign, security and defence player’ (see TF50b, 2018). In a speech on 14 May 2018, High Representative Federica Mogherini said that despite Brexit, she saw ‘a European Union that is moving forward and getting stronger. After the UK referendum, many … were predicting the end of our Union. Well, we have seen, on the contrary, a relaunch of our common projects, a recommitment to our unity’. Mogherini also noted her preference for ‘a consultation mechanism with the United Kingdom to coordinate our responses to international events, our positions inside international organisations, and our actions, when our objectives align’ (EEAS, 2018). 3. Regarding development, the EU has not responded extensively to the UK’s proposals favouring flexible cooperation mechanisms, for example, through trust funds or other mechanisms. 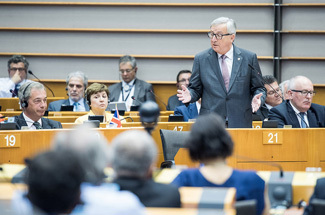 But in his 14 May speech, Chief Negotiator Barnier mentioned specifically that in the area of development, the EU would be ‘open to contributions from third countries and to local joint programming’. The recent future EU budget proposal related to EU external action mentions no specific collaboration mechanisms with the UK, while not excluding them either (European Commission, 2018). Barnier (2018, 14 May), ‘The future of the EU foreign, security and defence policy post Brexit’. Brussels: European Commission. Department for Exiting the EU (2017, 12 September), ‘Foreign policy, defence and development: A future partnership paper’. DFID (2018, 12 April), ‘International Development Secretary on UK aid: The mission for Global Britain’. EEAS (2018), ‘Remarks by HR/VP Mogherini at the EU Institute for Security Studies event on “The future of EU foreign, security, and defence policy post Brexit“’. Brussels: European Union External Action Service. European Commission (2018), ‘A modern budget for a Union that protects, empowers and defends: The multiannual financial framework for 2021-2027’. COM(2018) 321 final. Future Development Instruments: A UK Perspective (2018). UK government non-paper. HM Government (2018), ‘Technical Note: Consultation and Cooperation on External Security’. Prime Minister’s Office (2017, 17 January), ‘The government’s negotiating objectives for exiting the EU: PM speech’. Prime Minister’s Office (2018, 17 February), ‘PM speech at Munich Security Conference: 17 February 2018’. 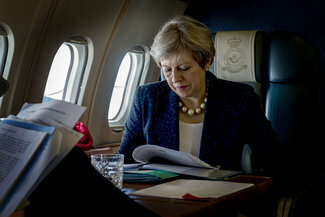 TF50 (2018a), ‘Draft agreement on the withdrawal of the United Kingdom of Great Britain and Northern Ireland from the European Union and the European Atomic Energy Community’. TF50 (2018b), ‘Internal EU27 preparatory discussions on the framework for the future relationship: “Security, defence and foreign policy”’.